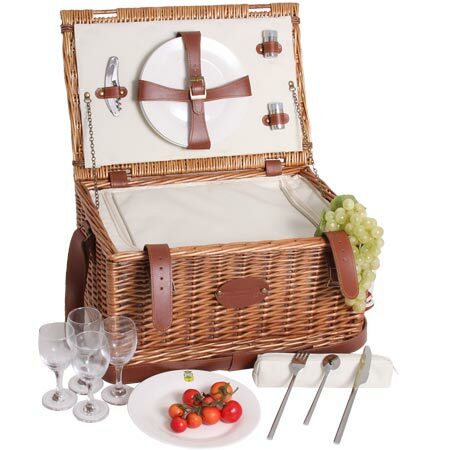 A handcrafted 4-person picnic basket with hand-woven wicker. The ‘Cream Trianon’ leather picnic basket is part of our Prestige line, thanks to its straps, handle, and adjustable strap in genuine smooth and top-stitched leather.The handle on the top allows you to carry it upright, so your prepared dishes won’t spill. 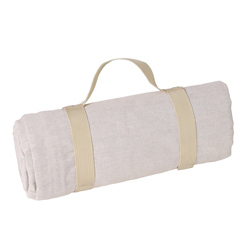 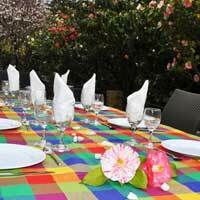 Just wipe the cream-coated fabric with a moist sponge to keep it clean.It has a large insulated pocket with a zipper for closing. 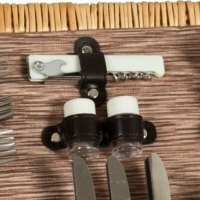 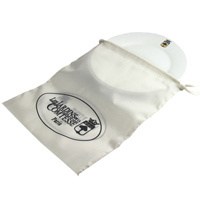 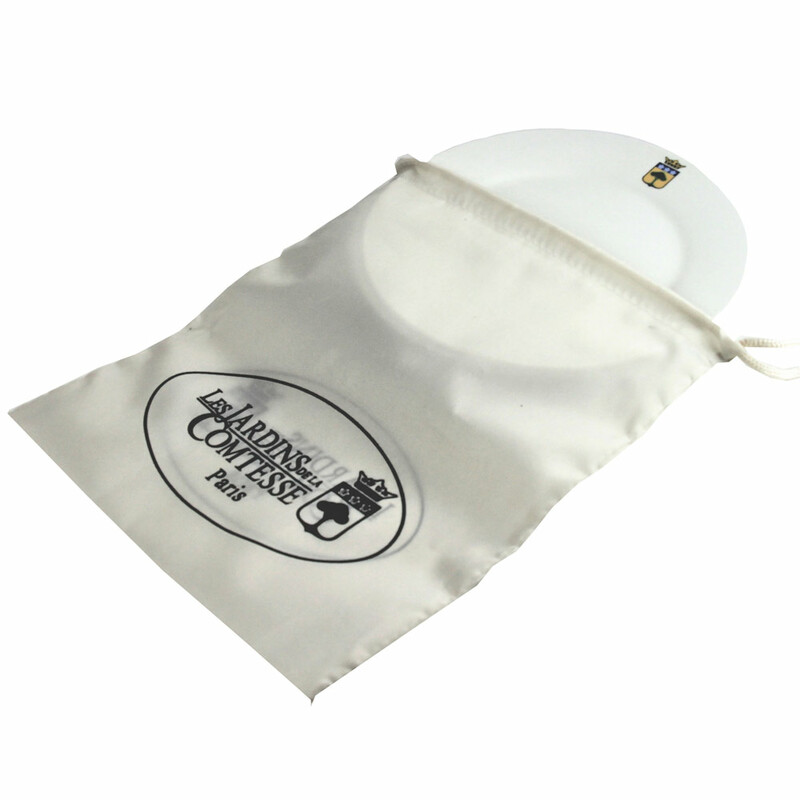 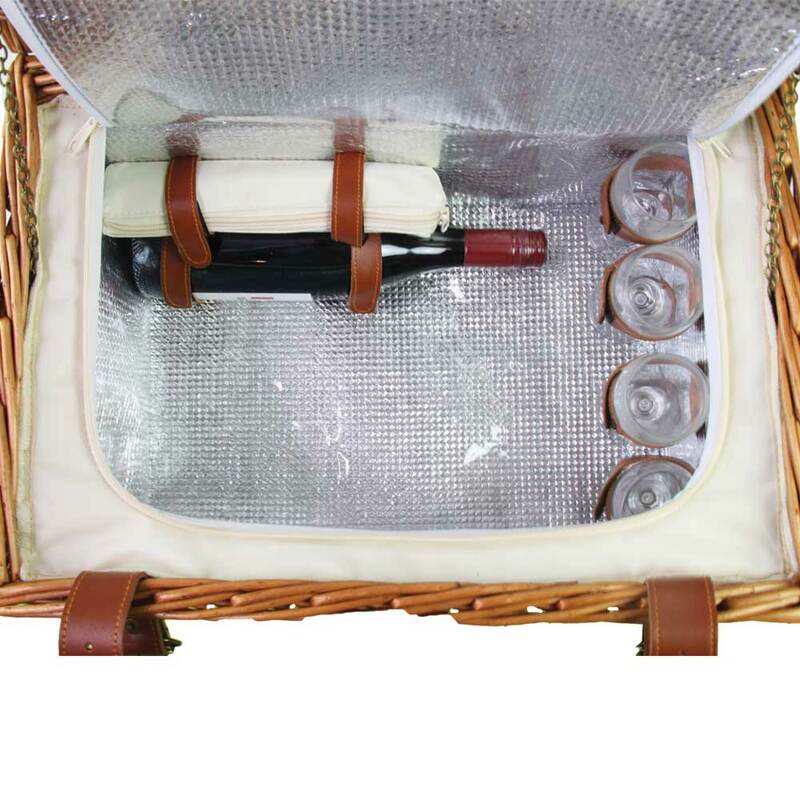 So you’ll be able to keep your food cool for your picnic.Inside, you’ll find glasses held in place by leather straps, as well as additional leather straps to hold a bottle and secure the kit containing the polished stainless-steel designer cutlery. 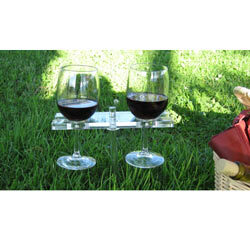 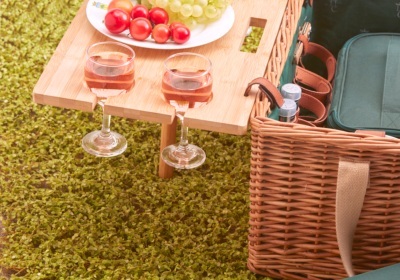 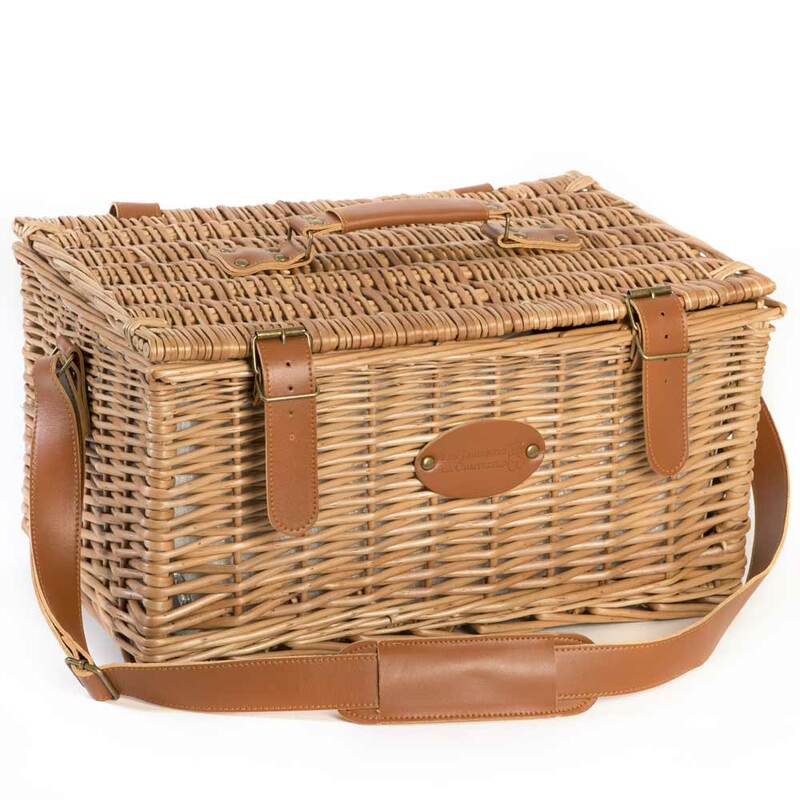 The perfect basket for a chic picnic.Also available for 2 or 6 people in different colours. 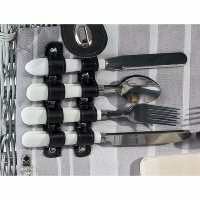 - 1 cutlery set, containing 4 knives, 4 forks and 4 teaspoons, stylish in polished stainless steel. 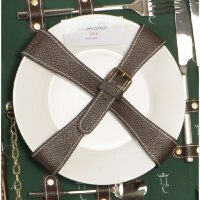 - Metal salt and pepper shaker in a leather tie. 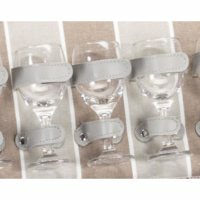 - 2 leather straps to hold a bottle.